This shiny new Samsung camera comes equipped with 17 lenses and a price tag of $10,500, there is definitely no messing around with this 3D content creation camera. 16 of these lenses are grouped in pairs around the base of the unit while one pair sits on top, along with the record button. The new camera was announced by Samsung at the Samsung Developer Conference 2017. It was designed to handle the creation of 3D content to be viewed in virtual reality on devices like Samsung's Gear VR headset with accompanying Galaxy devices. 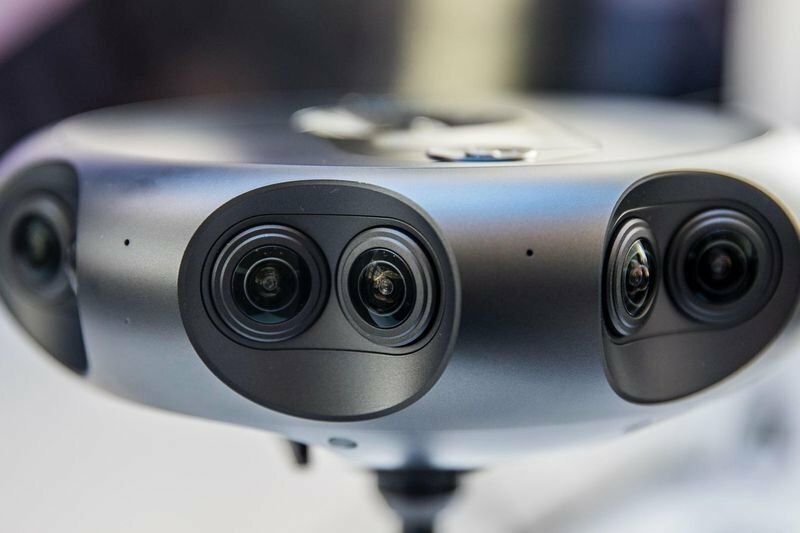 It's a hefty gadget, listing dimensions of 205 x 205 x 76.8mm and a weight of 1.93 kg, targeted at high-end capturing from companies that are steadily pushing into the consumer VR space with its lineup of Gear VR headsets and 360 cameras. The 360 Round comes equipped with 10GB of RAM and 40GB of internal storage space, so it will have some room on the device to store your captured content – though, given the quality of the content it can put out and the amount of storage that that content will take up, it’s likely users will need to take advantage of the external storage support too. These will come in the following options: an additional 256GB via an SD card or an additional 2TB through an external SSD. The 360 Round also supports LAN connection to the internet and it uses USB Type-C. The Samsung 360 Round has been in the works since 2014, it comes equipped with PC software for post-processing of the captured content, and is due to launch this month, October, in the US first. Video: Ultra High Speed Cameras – How Do They Film A Tank Shell In Flight?